OTTAWA -- You might think the last thing you'd stumble onto on a rural road in central Kentucky is Prime Minister Justin Trudeau. Chances are many of the people who pass by the intersection where Mammoth Cave Road meets Old Mammoth Cave Road don't even notice that they did. But there, on the right side of the road, about two hours south of Louisville at the edge of a national park, is a giant billboard advertising the Mammoth Cave Canoe and Kayak operation, one mile ahead on the left. And the photo on the billboard, of a smiling family of four in a canoe, clearly shows the Canadian prime minister, his wife, Sophie Gregoire Trudeau, and their two oldest children, Xavier and Ella-Grace. 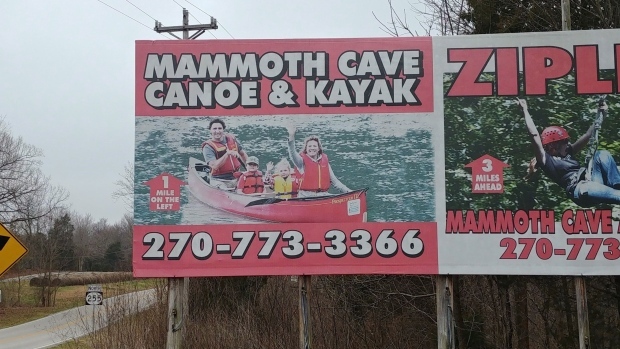 A call to Mammoth Cave Canoe and Kayak went unreturned Wednesday, but a man who owns a cabin rental operation across the street from the billboard confirmed its existence. He said he hadn't looked at it that closely before and was surprised to learn it featured Trudeau. The billboard photo wasn't there in June 2015, when Google captured an image of the spot for its Google Street View page. But it has been there since at least 2016, when an observant Facebook user spotted the sign and posted about it in French. 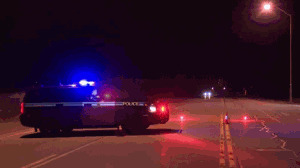 But the story took on new life Wednesday after new photos of the billboard emerged on Twitter and Reddit. Nevin Webster, a podcaster from Kamloops, B.C., says a friend of his from Kentucky was trying to help him get Trudeau to come on Webster's podcast. His friend posted it to Twitter and tagged Trudeau directly, trying to get his attention. Webster also shared the image to Reddit. This time the photo was captioned "Did you ever hear about our Trudeau billboard down here in Kentucky. We haven't quite learned not to steal pictures from the Internet yet." That prompted Trudeau to tweet a response. "For the record: This was taken in Yukon in 2013. A spectacular part of this country to explore." "Thrilled to let you know we're going to need another seat in our canoe: Sophie is pregnant! .threeisthenewtwo," he posted, more than two years before he would become prime minister.